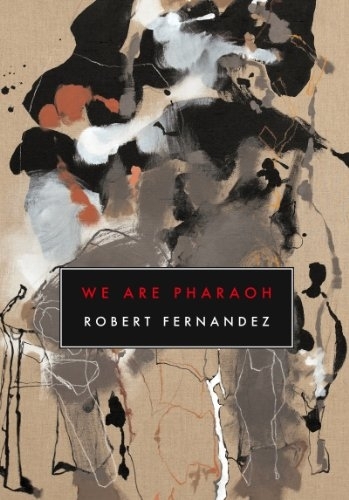 THERMOS editor Zach Savich introduces contributor Robert Fernandez’s lovely We Are Pharaoh (Canarium Books, 2011) and gives Fernandez a chance to share his thoughts on sublimity, the lyric, and Florida. Instead, I sent Robert some interview prompts—not questions, but concepts his book brought to mind. He responded to a few of them with incredible depth, and also sent us a poem from his forthcoming collection Pink Reef (Canarium Books, 2013). I’m pleased to present Robert’s thorough, thoughtful answers here, preceded by a poem from his first collection. Additional work by Robert can be found in Thermos #6, which also features poems by Julie Carr, Nik De Domnic, Shannon Burns, and others, available from thermosmag@gmail.com. The lyric is a perilous topic, one that turns poets and critics into priests arguing for either the sanctity or insidiousness of the genre—if it can even be agreed that it is a genre. Let’s grant that it is possible to traverse 2700 years—from Archilochus to Shakespeare to today—and still arrive at a set of intact lyric conventions. Some of the most salient characteristics of the lyric might be: compression; the sense of an “I” speaking to a “you”; apostrophe; hyperbole; associative logics; distinct experiences of time (e.g. a sense of simultaneity/the ecstatic); refrain; heightened imagistic and/or sonic intensity; constructedness (formal, metrical, etc.). The lyric is non-narrative, non-dramatic, non-didactic. While genres are indeed useful in establishing frameworks of intelligibility, in the end I’m less interested in cataloging and comparing traits than in posing questions about the lyric I can’t safely answer. For instance: Is it possible to think of the lyric as not only a set of genre conventions but as an accord that seizes on a given material—whether language, paint, or bodies—under the right conditions? Something is possessed by lyricism, it becomes lyrical. Or is the lyric a mode of revealing (say poiesis, i.e. the kind of making that appears identical to nature as springing-forth) in which things emerge in the light of their constitutive foreigness? Which is to say, is the lyric language that, while seeming to come as naturally (as self-directedly) as leaves to a tree, presents a surging, elusive world? Is the lyric-as-song simply language echoing its own immanent emergence and passage, language resonant with the bare fact that things are—that existence is—rather than is not? And can the lyric even be considered an event—something other than the mere sum of its parts—without overlooking historical context or losing its integrity as a genre? Although the lyric is hard to pin down, it is clear that it would be rash to simply abandon such a rich and potentially transformative reservoir. I think that in We Are Pharaoh lyric language is often in conflict with itself. Conflict is in any case structured into the language of an epoch that pitches itself toward disaster even as survival (the preservation of both one’s life and one’s way of life) is held up as its foremost priority. The book’s particular forces and concerns attempt to mirror this logic. Units of sonic and imagistic intensity are either disparately constellated or constrained by formal logics and the logic of micro-narratives, initiating a struggle between erotics and necrosis, figures and their dissolution, or, alternatively, suggesting a desire for style as transformation, seeing as worlding. Perhaps the language’s intensity, as your email put it, is a function of its conflicting urges to erase, transform, and affirm itself. I’m less interested in grandeur as such than in embracing language as desire, abandon, laughter. To hell with anyone who feels it is their duty to discipline excess or ambition. This is, after all, art. Why feel guilty, ashamed, or frivolous for pursuing what kindles, spurs, and gives pleasure? Furthermore, it may indeed be possible to invest in questions of vulnerability and responsibility while also attempting to engage a spirit of joy and courage. When, at sixteen, Rimbaud says of the poet “Let him die charging through those unutterable, unnameable things: other horrible workers will come; they will begin from the horizons where he has succumbed!,” the “adult” in me winces, but I also remember that a sense of innocence and serious play are vital to both one’s work and one’s world. As to the sublime: we generally understand it as a staggering, ineffable limitlessness, correct? I admit that I feel invested in poetic language as a coming up against or an unfolding of limits. These days the sublime would seem to be more relevant in a consideration of the apparatus of global power than the awesomeness of nature. Nonetheless, that coruscating fog of integrated military, economic, institutional, and media technologies may in fact be unthinkable (it certainly can’t be met face to face). Maybe it would be interesting to reinvest in a sense of the Romantic sublime, to seek out fresh astonishment in the presence of some visually arresting primordial immensity. The problem is that we’re so accustomed to spectacle that such immensities, if not immediately placing one at risk, are only likely to elicit the tourist’s array of uninteresting clichés and inanities. Dread (or a sense of uncanniness) is arguably a more productive starting point for thinking about one’s shared finitude. It presents itself in the poem as an experience of our exposure to a groundless and irreconcilably unfamiliar world. One takes up residence in the unknown and unknowable, sustained by supports/activities (e.g. language) that are inherently uncertain, at risk. These supports, which bear the burdens of the past, provide only a temporary ground upon which a work or world might be situated. In technological modernity, we can track an ongoing sense of being haunted—by language, images, commodities, bodies. And yet it’s increasingly easy to feel, especially if one has a seat at the table, untroubled, fleshed, streamlined—all crispness, fluency, and versatility. However, it’s also very easy to feel—this especially if one does not have a seat at the table—like a zombie or an animal (I would say “ghost” but ghosts sometimes speak). I’m interested in the ease with which one can pass from fluency to paralysis (and in the difficulty of passing back again), as well as in the trouble of effectively articulating either (each, in different ways, are conditions in which language has withdrawn). If Pharaoh otherwise tilts toward grandeur, it’s less about grandstanding and more about exploring the liberating potentials of generosity, love, and, as I said, innocence and courage. I grew up in Hollywood, Florida (the exact landscape of Larry Clark’s Bully). Whatever landscapes have been imprinted in me are Florida landscapes, Caribbean landscapes. Using the word “imprinted” (a very Romantic notion) makes me realize—this with the hindsight of seven years spent in the Midwest—that it does feel like some psychic plates were stamped with the repeated exposures to those skies. On the ground, there are ports, diaspora and ethnic communities, spectacles of wealth, wealth disparities, varieties of speculative investments—none of which would radically distinguish the place from any other but for the fact that all are glazed in a near-beatific tropic luminosity and in the candied light of a distinct South Beach nihilism. The question of landscape is no doubt also a question of boundaries, of limits and the varied efforts to differentiate what one is from what one is not. The dangers of such efforts extend from the interpersonal and political to the ecological. It seems to me that the poetic not only unfolds illusory integrities, it also makes the outside that is already inside more raggedly manifest. Robert Fernandez is the author of We Are Pharaoh (Canarium Books, 2011) and Pink Reef, which is due out from Canarium Books in the spring of 2013. He is the recipient of awards from the Andrew W. Mellon foundation, the Iowa Writers’ Workshop, and the Gertrude Stein Awards for Innovative Poetry. With the poet Mary Hickman, he edits the chapbook press Cosa Nostra Editions.